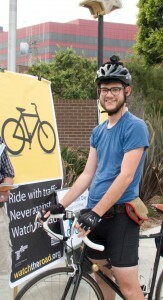 The West Hollywood Bicycle Coalition can help your business. 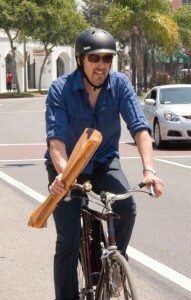 …get a free bike rack from the city. …provide secure bike parking for employees. …welcome in the customers who already pass your business on their bikes. 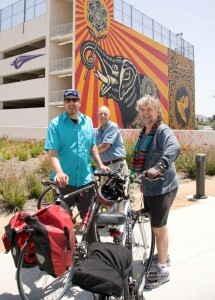 …offer promotions to local cyclists to keep them coming back. …provide local bike route maps to customers — with your business location highlighted. We’re constantly on the lookout for new ways that local businesses can grow revenue through bike-friendliness. We monitor civic meetings, track city plans and projects, meet with city officials, and advocate for projects and policies that bring customers to your door every day. And when we see an opportunity that can benefit your business, we’ll get in touch with you to make sure you can get the most out of it. Let us work for you — for free. 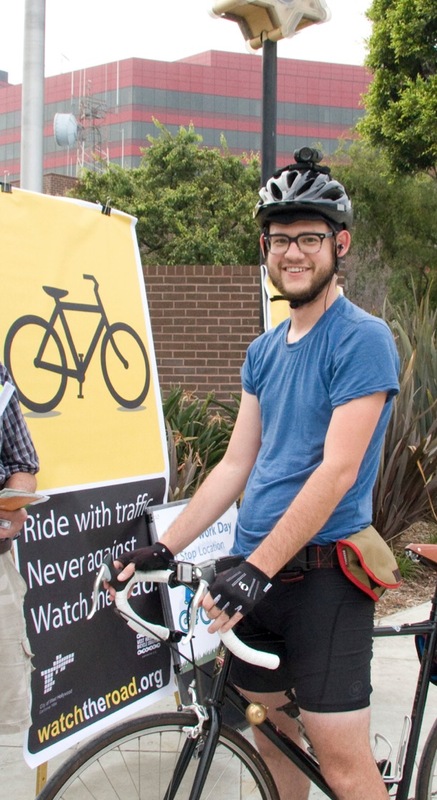 The WeHo Bicycle Coalition offers free ongoing consultations for businesses that are in or near West Hollywood. We’ll help you find ways to attract new customers, and ensure that your existing customers keep coming back — whether on bike, on foot, or by car. Drop us a line to sign up: info@wehobike.org. Whether it’s taking advantage of city-sponsored services, participating in community events, or reaching out to customers, we’ll do the legwork for you. Want to know something your competition doesn’t? In one study, nearly seventy percent of business owners underestimated how many of their customers travel by bike, transit, or on foot. In another, shop owners overestimated the number of customers traveling by car by 200%. Chances are, your competition is making that same mistake. You can attract the clientele that they’re neglecting: bicyclists who are eager to patronize your business. About 70% of Americans want to ride their bike more often, and driving rates are on the decline. The number of Americans who ride bicycles is greater than all those who ski, golf, and play tennis combined. Bike lanes are a magnet for new customers. A one-block lane in San Francisco increased bike traffic 550%, retailers thrived when on-street car parking was removed to make room for more pedestrian traffic, and two-thirds of merchants said bike lanes had a positive impact on business. How did Fort Worth boost restaurant business by 200%? Simple: with bike lanes and racks. The racks cost about $80 apiece and can accommodate two bikes, compared to $13,000 for a single car space. As a driver of new business, bike lanes are fantastically cost-effective. For the $75 million it cost to repave three miles of the 710 freeway, California could have paid for over a thousand miles of full-featured bike lanes. The secret to happy workers. Employees who bike to work have fewer absences and lower health care costs. Encouraging employees to bike could save American businesses millions of dollars every year. Increasingly, employers are attracting top talent by providing safe parking, shared company bikes for local errands, and subsidized bike repairs instead of expensive parking passes. It’s no wonder cycling to work has increased 62% since 1990. 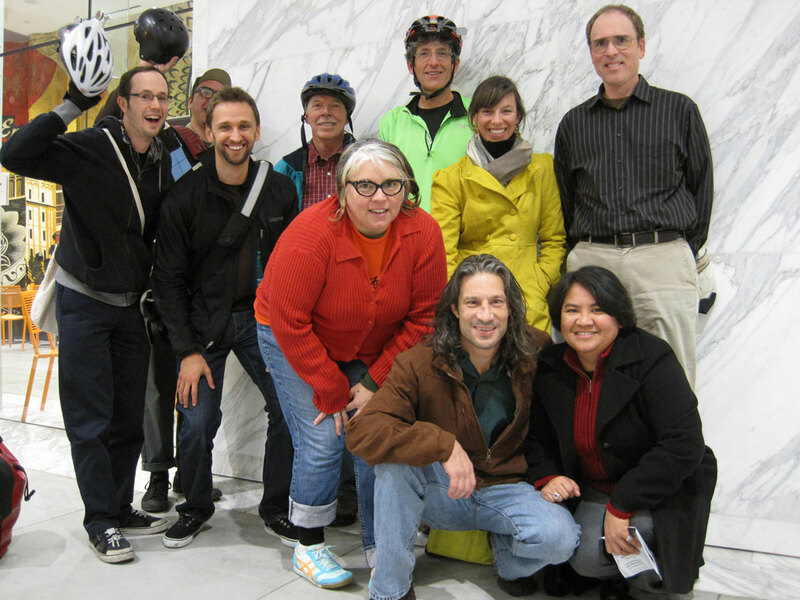 Here at the Bike Coalition, we love West Hollywood and want to do everything to make our city thrive. Reaching out to bicyclists will open new opportunities for your business that you never even imagined. So what are you waiting for? 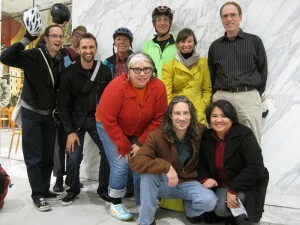 Drop us a line today for a free consultation on how you can start welcoming customers on two wheels: info@wehobike.org.